Francheska Martinez is a Certified ONNIT Academy and ANIMAL FLOW Coach, specializing in kettlebells and bodyweight training. Known as FrancheskaFit on social media, she is recognized for her signature moves integrating ANIMAL FLOW, kettlebells, and explosive movements. Currently living in Austin, Texas, Francheska now travels the country teaching her training philosophy and bodyweight techniques. 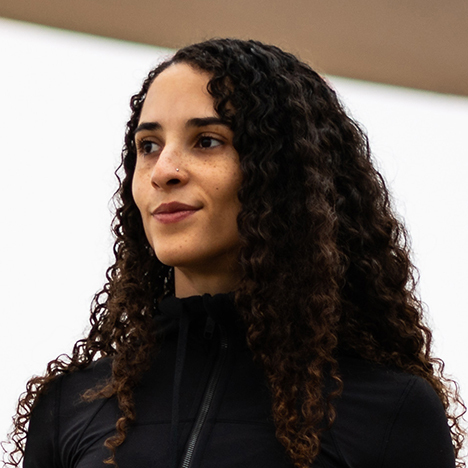 She also teaches movement classes in Austin to encourage others to learn how to build their mind-body connection to master their own bodyweight training. Prior to moving to Texas, Francheska studied Exercise Sports Science at the University of Central Florida. While in college, she also developed an affinity for weight lifting and running. Some of her favorite pastimes and hobbies are dancing, flag football, rollerblading, and cycling. As of 2019, Francheska is building her online training presence by launching her own Bodyweight Fundamentals Course (FrancheskaMartinez.com) to reach a wider audience and promote movement as medicine.